New Listing1974-S GEM BU 40% SILVER EISENHOWER DOLLAR SLIGHTLY TONED BEAUTIFUL! New Listing1974 S EISENHOWER SILVER DOLLAR NGC PF-68 CAMEO NO RESERVE SUPER NICE! MUST SEE! New Listing1974 S EISENHOWER SILVER DOLLAR NGC MS-66 NO RESERVE! SUPER NICE! MUST SEE!! 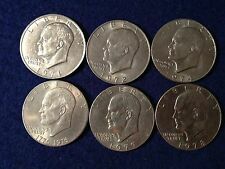 Fantastic 1974-S Silver MS Eisenhower, Ike, Dollar! See Pics! 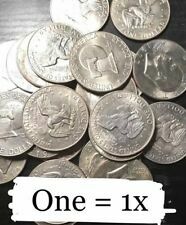 15 product ratings - 1974 S PROOF EISENHOWER DOLLAR 40% SILVER GEM DEEP CAMEO IKE COIN ~IN CAPSULE! 1974-S $1 PROOF DOLLAR 40% SILVER, MINT BROWN BOX. 3 product ratings - 1974-S $1 PROOF DOLLAR 40% SILVER, MINT BROWN BOX.